“No time” – the most boring and banal of all reasons. In fact, even the busiest person in the world can find time in his schedule to practice a language. Classes should not be long and exhausting, but regular – be sure! 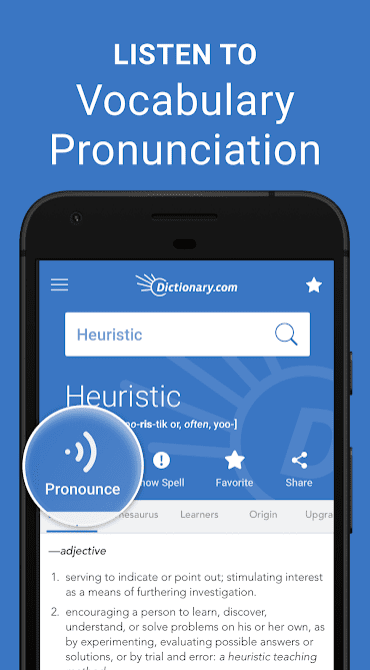 The following vocabulary builder apps will help make learning a good habit, repeating words and memorizing new ones on the way to work or while having a cup of coffee. 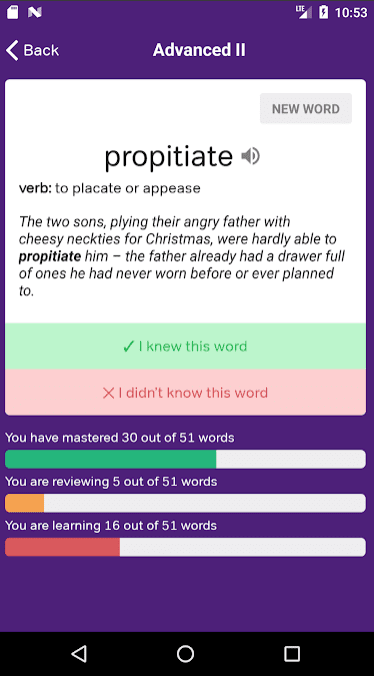 The GRE Vocabulary Flashcards application reproduces the traditional method of memorizing words using cards. The meaning of the new words is explained and is opened in brief examples. The learning process in the program is quite simple. The material is divided into blocks containing a set of virtual cards with words and explanations for each of them. Scroll through the cards. If you already know a word, mark it accordingly. Those words that you don’t know will be repeated periodically. The frequency of demonstration of a specific card is regulated by the application in accordance with its own algorithm, optimized for sustainable memorization. The application will periodically show you the cards until you confidently master the block. The material is divided into several levels: Basic Words, Intermediate and Advanced. The selection of words is decent, the speed of learning can be controlled independently, so it makes sense to start from the very beginning. This application focuses on the requirements of GRE and is intended to expand personal lexicon. In the base of the program, there are more than a thousand words, and the words are really interesting. It is assumed that GRE is used motivated people, so the application doesn’t contain any tests. The program, in this case, is just a convenient way of organizing independent work, and not a warden. 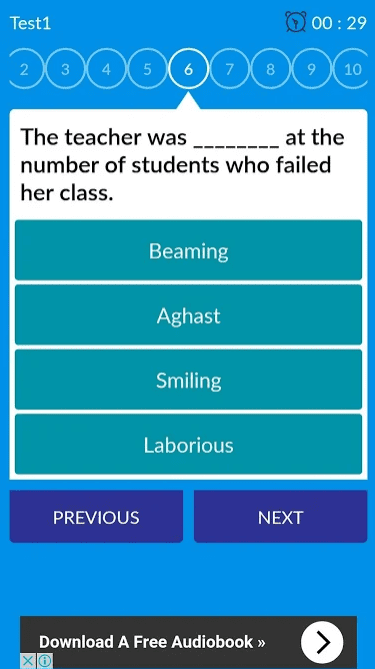 If you like a more competitive atmosphere, you can test your skills with the GRE Vocabulary Builder application. Here the words are also divided into blocks according to the level of difficulty, but, unlike the “cards”, there are already elements of automatic control. We are shown the word and its definitions or synonyms. If you choose the correct answer, this word will rarely appear when you continue viewing the block. If the answer was incorrect or you found it difficult, the program shows the correct definition. Upon further viewing of the block, such a word will appear more often, until you finally remember it. There is no such freedom as in GRE Vocabulary Flashcards. Until you complete the block, the next, more complex, program will not accessible to you. Similar games can be found on many sites dedicated to vocabulary building. However, here the process is not aimed at testing knowledge, but at maximally effective memorization of new words. 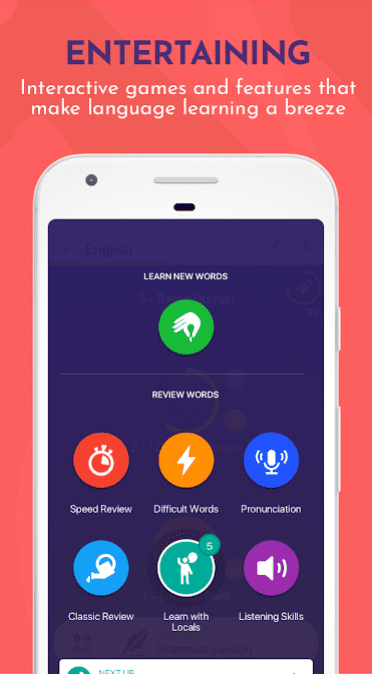 Memrise is an innovative learning technology. The application will help improve your level of knowledge. Forget about monotonous memorization of material. 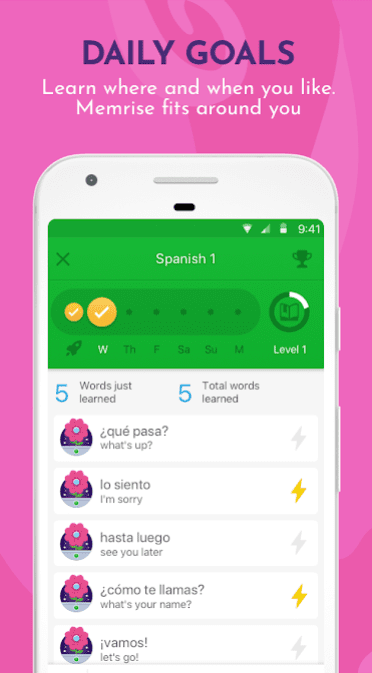 With this application, you can learn languages through a modern and convenient game mode. All words will be memorized surprisingly quickly – learning a language will become a real pleasure. 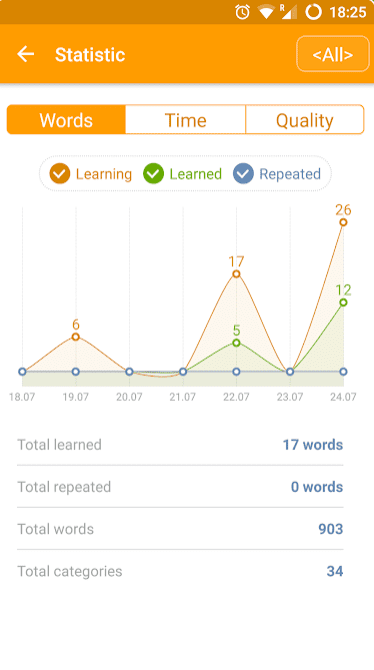 Already more than 15 million people from around the world have appreciated this learning platform – every day about 2 million new words are learned through a variety of games and chatbots. Learn English, French, German, Spanish, Japanese, Korean, Italian, Arabic, and Polish. Chatbots (fluent communication with a computer will help you learn the rules for constructing conversational phrases) and a number of interactive mini-games for learning and repeating material will help you with this. All words and phrases can be heard in the original – about 30,000 native speakers participated in filling the database of the application. This application is the result of the hard work of programmers and linguists in order to expand existing teaching methods. The application uses modern neuro-linguistic technologies and the latest teaching methods. The main advantage of the application is the ability to adapt to the peculiarities of human memory. Mnemonic memorization allows you to quickly replenish vocabulary. Moreover, the words will not be forgotten even after a long time, since the program will remind you from time to time of the material that needs to be repeated. 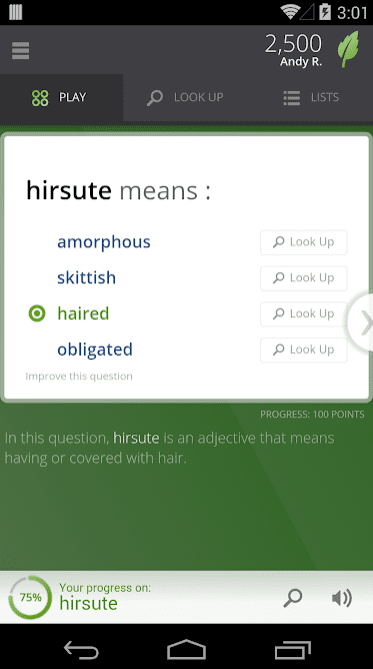 Quizlet is a fun tool which will increase your vocabulary by participating in quizzes and other tasks. 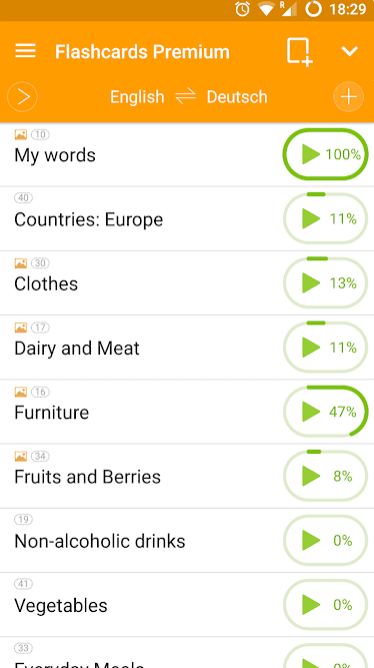 The free application covers different topics, so the user will develop in different directions. The main task of the user in the Android game is to guess the words and correlate the images, for which points will be awarded. A lot of entertainment and interesting tasks allow you to actively develop, constantly learning something new. To work with the application, the user simply selects the desired item that corresponds to the translation or the provided image. For each answer, points are given that affect the overall statistics. There are also modes for time and memorization, differing in their intensity in contrast to the game. 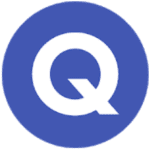 Quizlet is a cognitive game, where the pace and dynamics directly depend on the chosen mode and gamer’s activity. Increasing your level, you can move on to more complex tasks, which will significantly improve learning. Share your success with your friends, showing how well you have learned this or that topic. The design of the application is made as comfortable as possible so that the user can easily choose the right answers and actively move forward. Each element has a description, image, and large size, allowing you to quickly interact with the interface. Sound signals and pleasant music make it clear when the right answer was given, and when it was wrong. 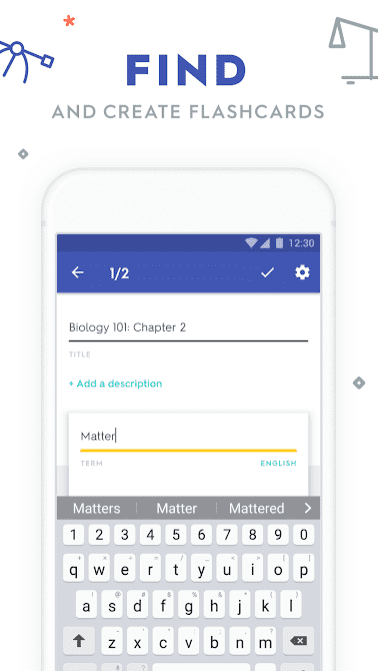 Quizlet is a great application for Android, where the user can check his erudition, as well as learn a lot of useful information and words on different topics, thanks to different modes and competitions. 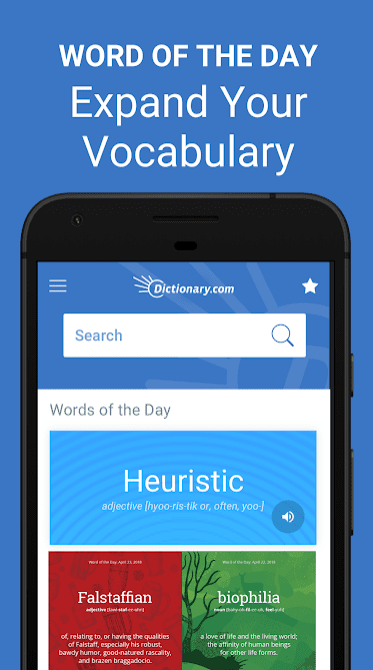 Vocabulary.com is an application for Android and iOS, as well as the eponymous service that allows you to learn new words. And it does it just fine! When learning a language, you need to pay attention to several things: grammar, colloquial speech and, of course, vocabulary. Vocabulary.com will cope with it better than anyone else. Vocabulary.com is a powerful vocabulary tool. 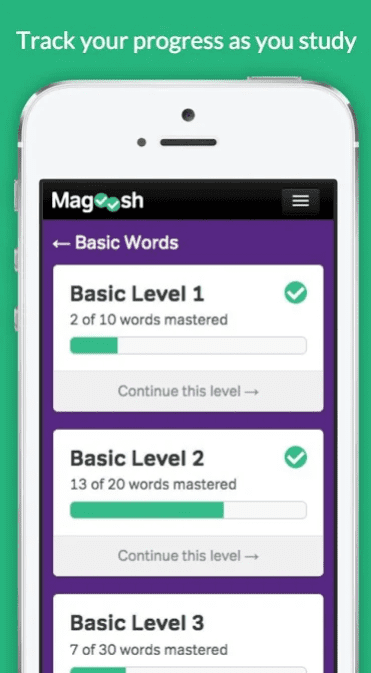 The application has one goal – to fill your vocabulary with as many words as possible. But there are a lot of means for this. You will be asked questions for which there are four possible answers. After answering the question, you can look at the meaning of the word and its history, described to the smallest detail. You can also listen to the words, and if you cannot guess the word, you can use the hint. There are three of them: 50/50, see the meaning of the word and look at the examples of sentences with it. Questions can be different. Starting from the definition of a word and ending with synonyms for it and its meaning specifically in this sentence. 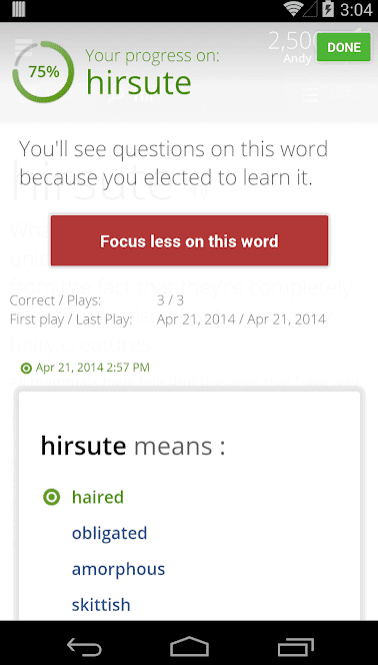 Words are added to your word list in two ways: using a dictionary and with an incorrect answer to a question. If you answer incorrectly, Vocabulary will add the word to the list and show it until you know it 100%. The dictionary deserves special attention. There are 12,000 words in it and, according to the creators, the description and meaning of each word were written by hand. 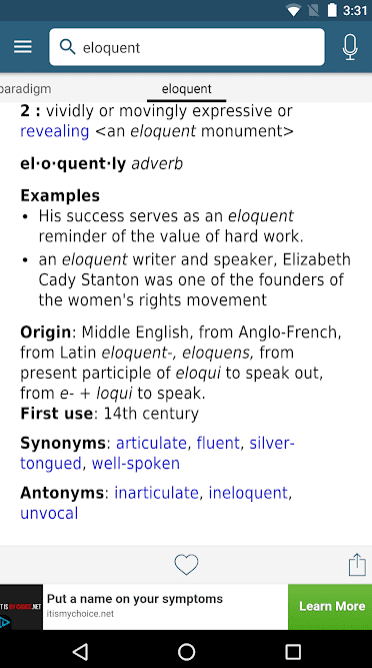 Like it or not – we hardly know, but the dictionary is just wonderful. The app also offers incentive ratings and achievements. There are a lot of achievements, and the ratings depend on the total number of points and correct answers. Compare your points with the leader of the current day. The application is based on the Merriam-Webster’s Collegiate Dictionary, an extensive dictionary (225,000 definitions), describing not only individual words, but also common phrases. The application has a bright design and simple interface. On the first page – only the company logo, a simple menu and a field for entering words, as well as a button for oral input. When you enter the first letters in the search field, the program suggests word variants – this is convenient if you are not sure of the spelling. In the dictionary entry you will find the word with stress, transcription, a definition of the word given in a simple, clear and accessible language, synonyms and examples of usage (in phrases and sentences), in some cases – a brief reference to the word’s origin. You can listen to how the word sounds. Even in the dictionary entry, the date of the first use of the word is given – interesting, but, in our opinion, useless information. The disadvantage is that you cannot paste a copied word into the field for entering a word – you have to manually re-type the word, switching between the dictionary and, for example, the browser – this isn’t very convenient. 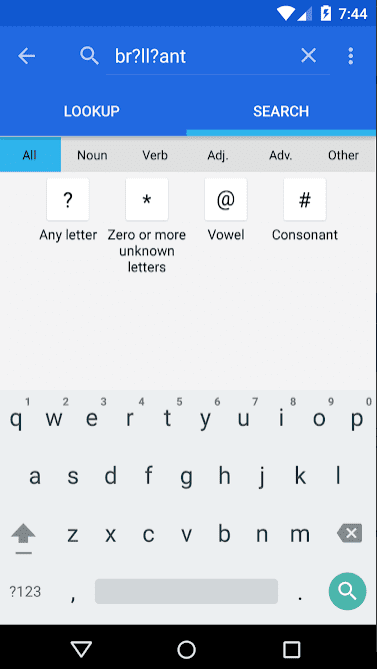 Among other functions of the application, quick access to words difficult for memorizing through the ability to add a dictionary entry to your favorites, view recent search results through a special “Recent” list or using navigation elements, as well as “Word of the Day” requiring an Internet connection. 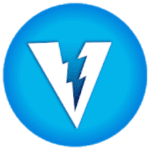 VoLT is a decent tool that focuses on vocabulary. It helps to improve and extend language skills with various innovative techniques for memorizing difficult words. While learning new words, meaning, memory key, synonyms, antonyms, and usage will be provided for each word. Also, there are various tests: Random, Meanings, Fill in the Blanks, Synonyms, Antonyms. 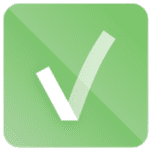 After completing a test, you can view statistics, right answers and retake each test. These effective methods will surely help you to wide the vocabulary while enjoying the process. You will never forget new words! 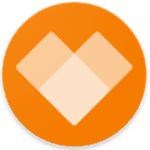 Dictionary WordWeb is a free offline English dictionary with an excellent search. Here you will find a bunch of words, with synonyms for them, as well as the meanings. At the same time, this application has quite a convenient search and there is no advertising at all! 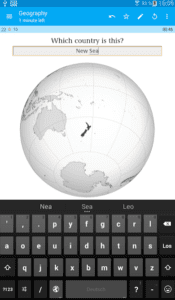 Clever text input will offer you variations of words, thereby saving you time. You can save any word to your bookmarks and view what you were looking for earlier through history. 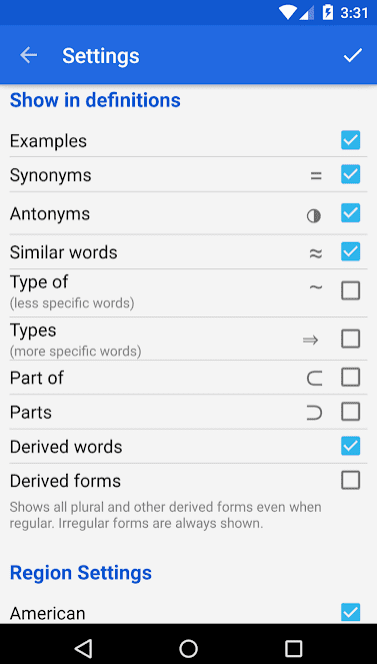 In the settings of the application, you can include extended information on the words: synonyms, antonyms, similar words, etc. 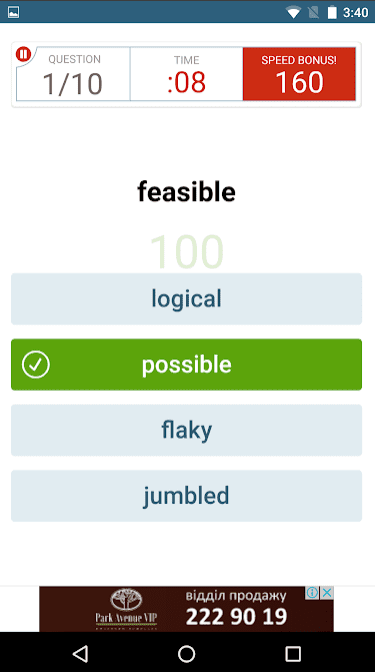 Flashcards Maker is another smart tool to extend your vocabulary. Short, simple, understandable – flash cards can be an indispensable tool in learning a language. Electronic flash cards are always with you, accessible from any device and regularly remind repeating words. It remains only to be patient and steadily build vocabulary. Support more than 100 languages. Anki is a popular program for memorizing words using the method of interval repetitions. In a nutshell, this is the method by which words are given by a certain algorithm that ensures high-quality memorization. You can create your own library of cards in the program, and use already prepared materials (the developers say that there are already more than 80 million cards). You can make a card not only from words but also add sounds and pictures to it, it will be especially interesting for parents who help their children learn the language or various objects and phenomena. Information is synchronized between devices, so you can create your own materials, for example, on a smartphone, and learn already on the tablet. The application takes into account your answers to questions and will not persistently show you what you have already learned, what will save you time. 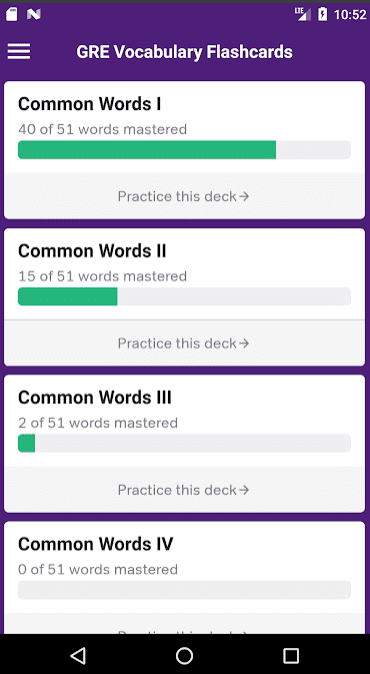 Anki shows your progress and how many words you have left to learn in each set. 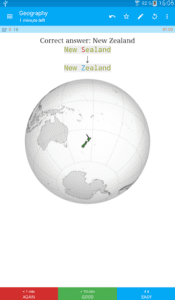 Dictionary.com is a dictionary that will give you the most complete information about the words, as well as provide a large number of synonyms, show the origin of the word and examples of its use. In the description, you will find not only the most detailed description of the word, but its origin, synonyms, and also without any problems will be able to listen to it. Another advantage of this application is the availability of texts, as well as the ability to work offline. On the main screen, the word of the day is shown, which you can immediately hear and read about. On the top, there is the search bar so you can quickly find the word you need. All other sections are hidden in the sidebar. There you can find your favorite words, recently viewed words, see a list of the most popular words, open a full description of the word of the day (to view words from the previous day, simply use left and right gestures), read blog entries, watch interesting slideshows and go to the “Settings” section. When viewing a word card, you can find the transcription of the word, read the description, as well as the origin of the word. To listen to the word, click on the speaker icon, and to add to favorites, you just need to click on the star. On the Synonyms tab, you can find synonyms for the word you have opened. The Origin tab indicates the origin of the word. On the Samples tab, you will find examples of the use of this word in the text. In the settings of the application, you can enable/disable the offline operation of the dictionary, as well as services to determine your location.